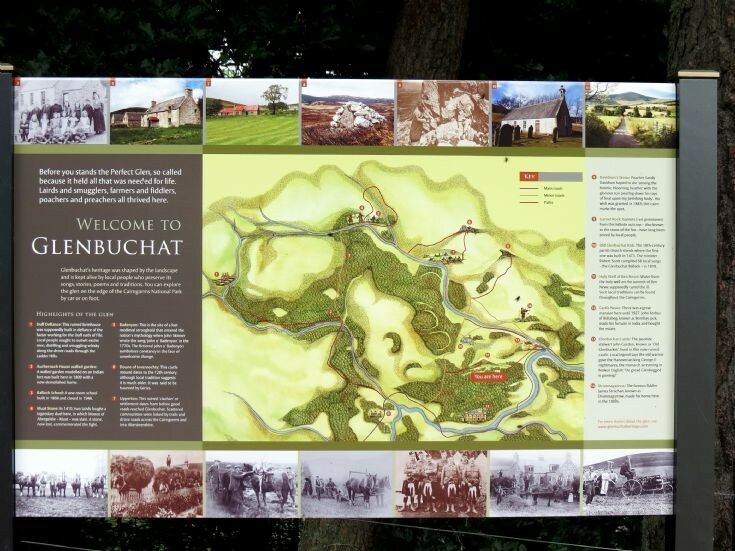 In June 2012, in conjunction with the Glenbuchat Heritage Association Heritage Scotland erected a Heritage Story Board at the car park at Glenbuchat Castle. The Board has a map of the glen surrounded by Historic Pictures and texts relating to the stories of the Glen. A number of walks in the Glen are highlighted. Hopefully this will encourage visitors to appreciate the history and scenery of the Glen.